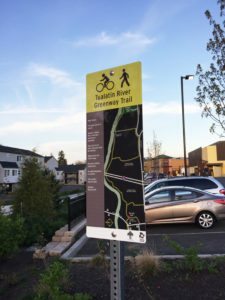 The Tualatin River Greenway Trail is a wide bicycle and walking path that meanders through trees, near the river and past wetlands. 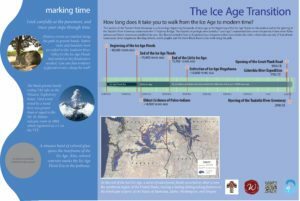 This new section of trail includes “a walk through time” - exploring the transition of the Ice Age and cataclysmic Ice Age Floods, extinction of Ice Age mammals and emergence of Paleo-Indians and early settlers in the Tualatin and Willamette valleys. 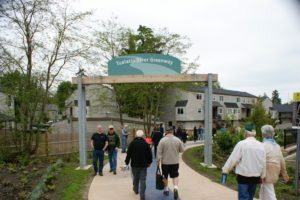 The Tualatin River Greenway is a 1.25-mile pathway along the Tualatin River in Oregon. 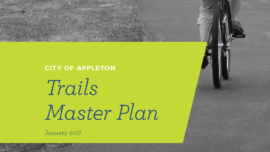 Alta’s role was to design the interpretive elements along the trail to illuminate the area’s history from the Ice Age to present day. 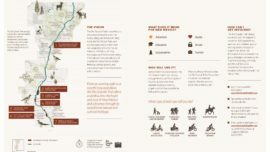 Rather than simply populate the trail with interpretive signs, Alta made the trail itself the main interpretive element, creating a physical chronological timeline that steps the users through time as they proceed along the path, and interprets key elements as they go, including key overlooks, paving, signage, and educational materials. 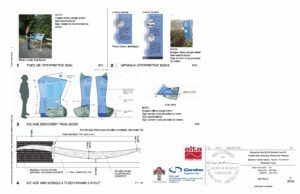 The timeline from initial sketches and ideation to the release of the bid set, was under 6 months. 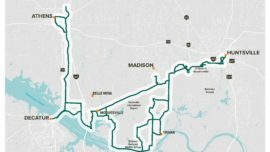 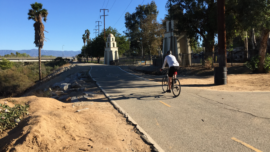 An average of 10,000 people a month are using the trail since it opened in February 2016. 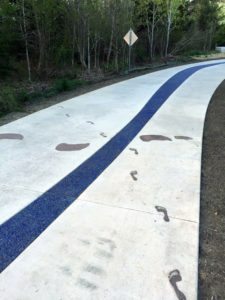 This project won an American Planning Association Award for Excellence in Sustainability and a Design Award from the Oregon Recreation and Park Association.